The Docomomo US National Symposium will take place from September 26 through 29 in Indianapolis and Columbus, Indiana. Created in partnership with Landmark Columbus and titled Design, Community, and Progressive Preservation the symposium will focus on the three most important aspects of any preservation effort: design, heritage, and the community. We also developed the program with the American Institute of Architects Indiana and Kentucky Chapters and the Indianapolis Museum of Art at Newfields. The original design and construction of buildings of our recent past require interventions and strategies that go beyond earlier periods in their scale and materiality. Conceptual, financial, political, regulatory, and environmental factors are all influencing preservation’s shifting landscape in directions away from traditional preservation approaches. This, combined with the constantly expanding number of recent-past sites and modern buildings eligible for heritage status (the large majority of our built world dates from the second half of the 20th century), a diminished regulatory participation on all levels of government, and concerns about the elimination of financial incentives demand new preservation policies, practices, and ways of thinking. Preservationists, designers, artists, and architects must engage in dialogue with communities to find creative, meaningful, and forward-looking solutions to preserve our modern heritage. Recognizing that preservation itself now has a 50-or-so-year history, different terms and descriptions have been adopted to highlight new approaches with words ranging from ‘experimental’ to simply ‘new.’ For the symposium the word progressive was attached to preservation to emphasize that our approach must look towards the future and must engage younger audiences and communities. It is also a reference back to a time when preservation as an action by itself was considered progressive. Columbus is the right place to undertake this dialogue at this critical time. 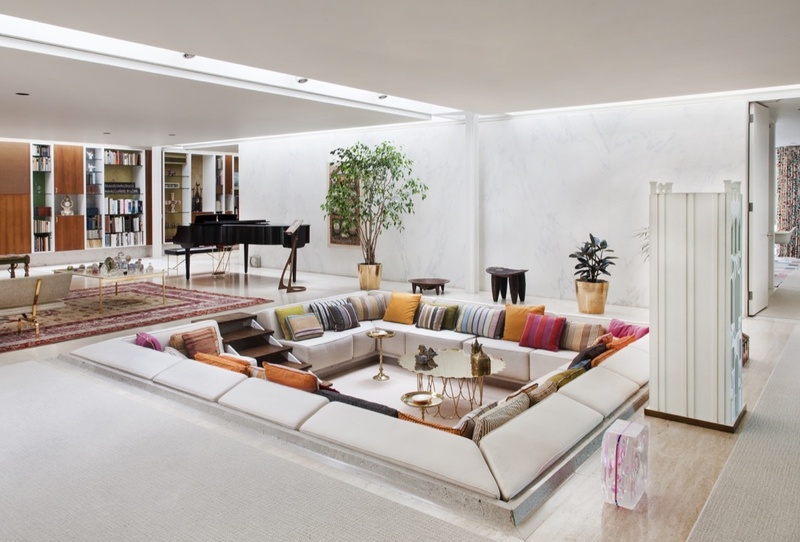 Since the late 1930s prominent modern designers have been commissioned to create projects in this small American city, creating an unparalleled heritage of modern design and architecture. This practice continues today and expresses the ongoing significance of design in this community, creating a basis for a preservation mindset that is collective rather than regulatory. In addition, the Exhibit Columbus program, currently in its second round, commissions contemporary artists and designers to create installations that engage and interact with the community and its heritage. From a Docomomo US perspective, this forms an ideal background to explore a broader discussion: how do we best ensure the preservation of the recent past in a manner that is meaningful to a wide variety of communities, bring contemporary designers into an ongoing dialogue, and how can those efforts be replicated elsewhere? I hope you will join us later this month as we explore these important themes in one of the most interesting small cities in America. Docomomo US is the acronym for Documentation and Conservation of buildings sites and neighborhoods of the Modern Movement in the United States and is a national nonprofit dedicated to the education about and advocacy for modern design heritage. It is the US affiliate of an international network with representations in over 75 countries.